I’m still here! I’ve taken an unplanned hiatus due to various personal, and health reasons. That didn’t stop me from doing refashions though. I didn’t do much as it is. Doing refashions is one thing, editing the pictures, and constantly updating the blog is another…. but that’s for another blog. Since my last post, I’ve done one refashion for my daughter. She was excited to come home to tell me that it’s Princess Day at school. So – off to Goodwill I went. I wanted something “wearable” and not costume type of outfit for her to wear to school. 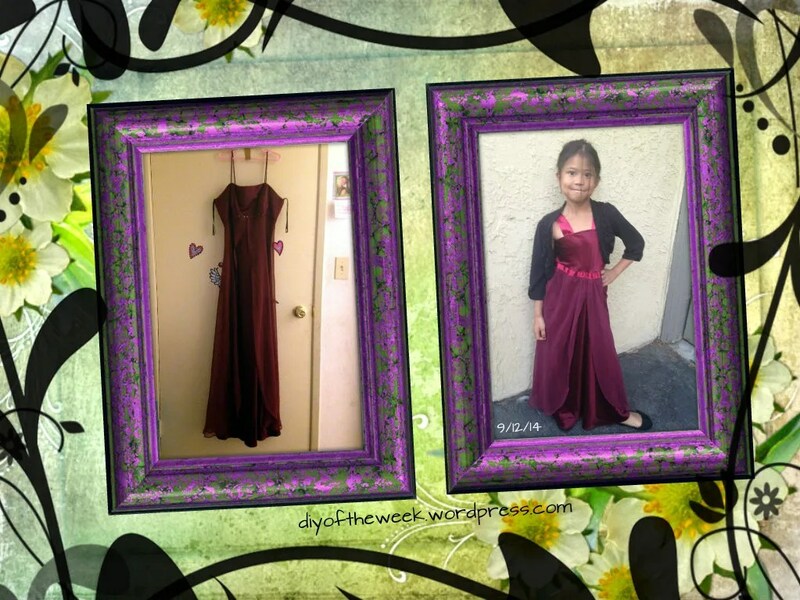 I found a simple dress within a budget, and just resized it to her size. Unfortunately, it wasn’t a “hit” among her peers, but she was still as proud of me when she left for school that morning. Stay Tuned – I did my daughter’s Halloween Costume – that post should be up soon.